KIEV, Ukraine -- Ukraine’s new constitutional amendments will ensure the president has strong powers and is elected by popular vote, Leonid Kravchuk, a former president and the chief of a body working on the draft, said. Leonid Kravchuk, first president of independent Ukraine. Kravchuk, who was appointed to the body by President Viktor Yanukovych, responded to criticism from opposition groups that the amendments may allow Parliament to elect the president, letting Yanukovych skip the popular vote in March 2015. “We are not ready to change anything in this respect, and I think we will not be ready for many years to come,” Kravchuk said. Kravchuk was appointed in January to lead the Constitutional Assembly, a 100-member body representing political parties and academics, to draft the new amendments. The opposition groups across the board have refused to join the body amid concerns that the Constitutional Assembly will be manipulated by the Yanukovych administration to give him unfair advantages in 2015. The appointment of Kravchuk, who openly supported then-Prime Minister Yulia Tymoshenko, Yanukovych’s main political rival, at the presidential election in February 2010, was surprising. Kravchuk said that Yanukovych had never asked him to make any specific changes to any amendments currently debated within the Constitutional Assembly. “We had several meetings with Yanukovych, but I had never heard any suggestions from him,” Kravchuk said. Ukraine’s constitution was changed drastically back and forth over the past seven years, raising much criticism among political groups. Ukraine’s presidency had strong powers after 1996 constitutional amendments, capable of appointing and dismissing all ministries in the Cabinet. The president could nominate the prime minister and the nomination has to be approved by Parliament. But the president could dismiss the prime minister anytime. That constitution was changed in December 2004 towards weakening the presidency and giving more powers to Parliament, whose groups could nominate and approve the ministers. These amendments led to many clashes between then President Viktor Yushchenko and political leaders, including Viktor Yanukovych and Yulia Tymoshenko. But after defeating Tymoshenko in popular vote in February 2010, Yanukovych in a highly controversial move – through the Constitutioal Court he is thought to control - cancelled the 2004 amendments to return super powers to the presidency. “The Constitutional Court exceeded its authority by returning the 1996 amendments,” Kravchuk said. “So, that means we live today under illegitimate constitution,” Kravchuk said, adding that the assembly will suggest the new amendments that will be submitted to Parliament. 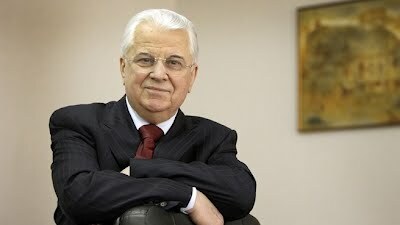 “Everything will be decided in Parliament,” Kravchuk said.